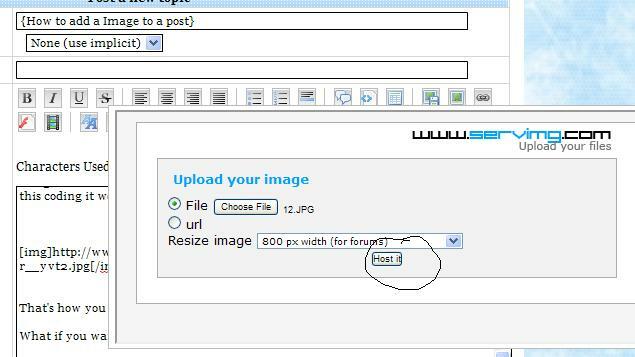 So requested by a new member; This is a quick tutorial on how to add a image to a post so that it will show as a image and not a link. 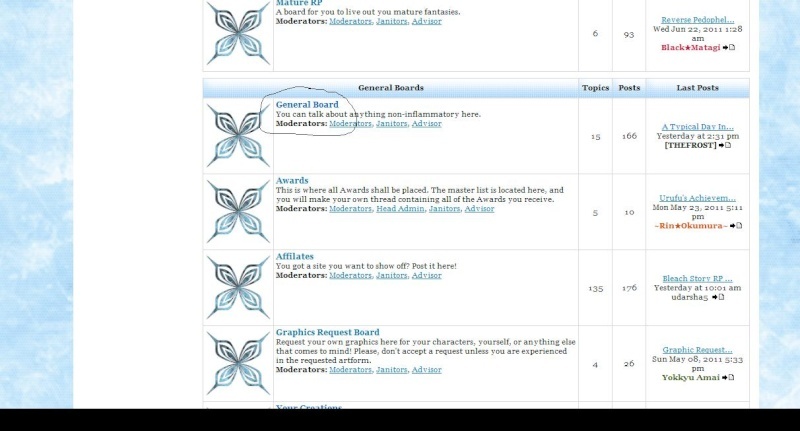 First, I'mma just do it in a random topic so the General Board. Located on the main page near the bottom you can see this topic. Follow through if you want. 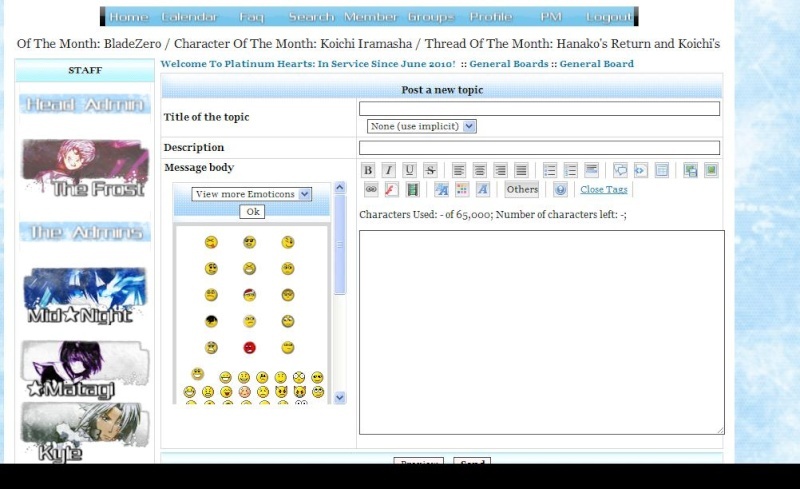 Making a "New Topic" Within the General Board. This'll direct you to the "Big Box" Which is where you'll be provided with tools and such to make your post as well as the title of the post. The first way, Go to the link/webpage where your image is and copy the link. PASTE The Link in that box and press OK.
A Link will appear in this box. This is your link to the Image with the coding at the beginning and end to make it recognize it is a image. So that it will show up as a image and not a link. Without this coding it won't show up as a image but only the link. That's how you add a image to a post through Link. What if you want to do it if you have it saved on your Computer? Seeing as I don't think any of us are noobs to PC's and such here we all know how to save a image to our computer. We want this up. Click it and it should come up with something like this. Here you will see it's automatically on File. Press Choose File. There is the way to do it through URL like this but I showed you a much more faster way before this way. 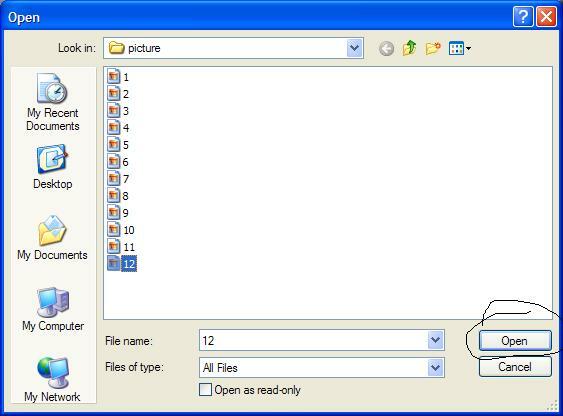 Here you will come up with the box where you need to find or locate where you saved your image. Once you have, double click the image or click it and press OPEN. This; It shows the image has been chosen which means all you need to do is resize it if you want. I tend to leave it on, 800 px width as it's suitable for forums and this is a forum. Also it's the right size for me. But change it to meet your recommendation if you prefer to do so. Click Host it. This can take a while depending on the size of your image. If it's small it should be only a few seconds, if it's a large file, expect a while longer in wait. Here you will see the image URL. 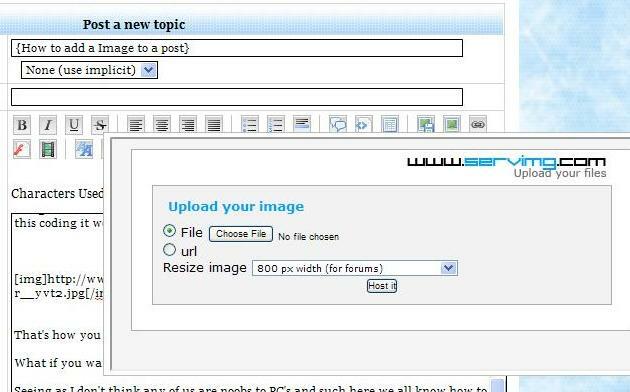 Press Copy and then follow the above directions to how to upload a URL as the image saved on your computer has now been processed to a URL.